Have the leaves started changing color in your neighborhood yet? It feels like any day now I’ll look out the window and the green will be gone—it always seems to sneak up on us. But I’ve found if I have something planned for those beautiful leaves, I’m more aware of the time passing. Even simply picking the best leaves and pressing them in a book is fun; I’m always stumbling upon them a year later and reminiscing. 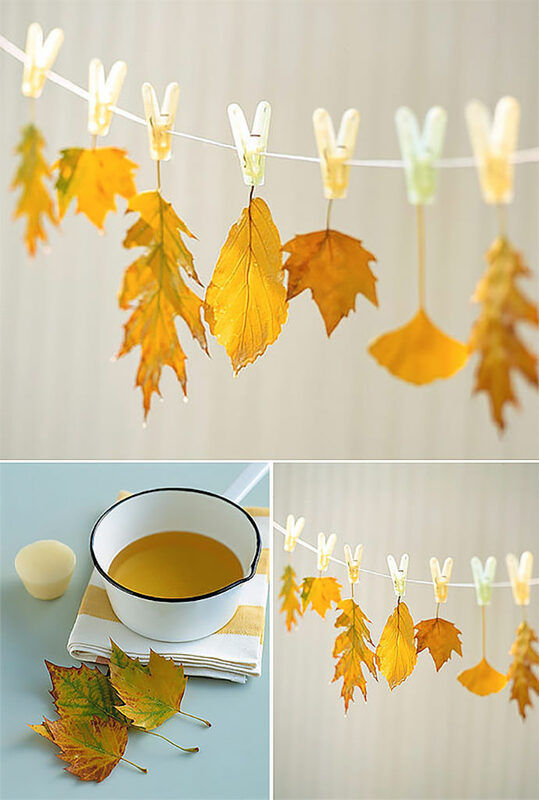 But I have to admit, these DIY’s—all using real leaves—showcase some surprising alternatives! 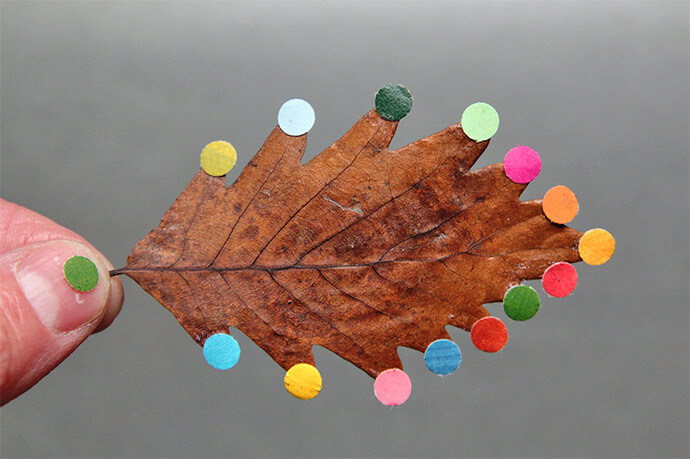 This is such a simple yet brilliant idea: get out your favorite paper punches and make your own confetti! I’d love to punch a batch with my daughter and use them to create collages together. Via Grow Creative. 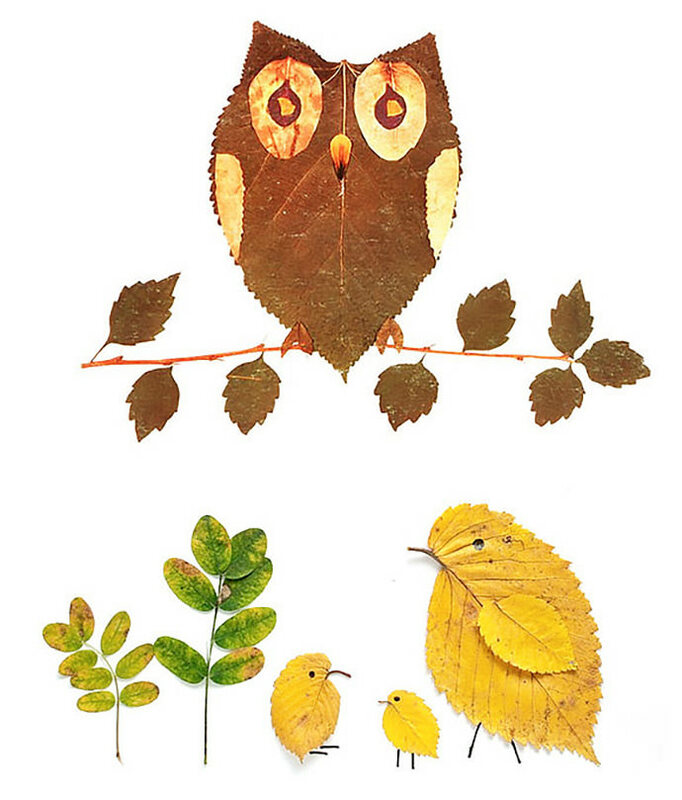 Here’s another simple but innovative twist on leaf art: These images remind me of finding animals in the clouds. Everything resembles something else if you look hard enough! Via kokokoKIDS. And here’s another version of anthropomorphized leaves. I just love the googly-eyed expressions on these little creatures. Via Katja Enseling. Martha does it again! 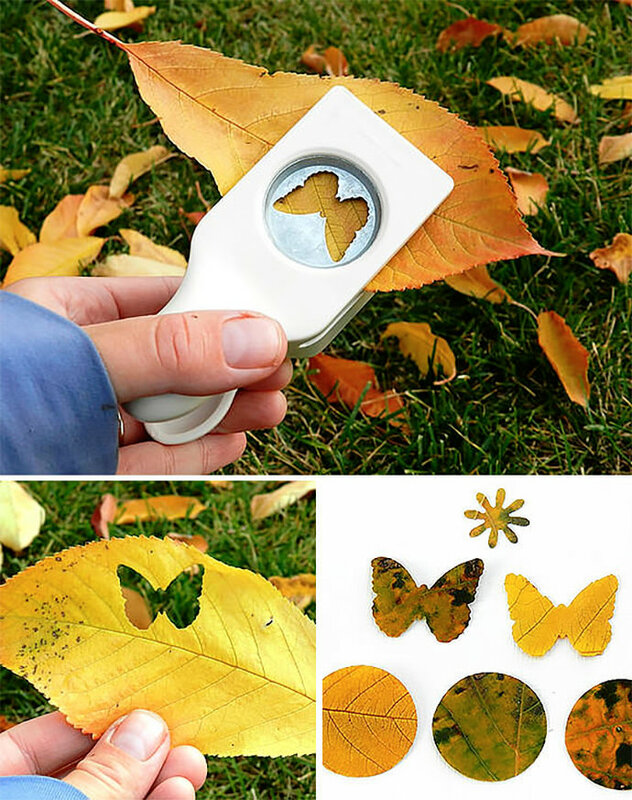 This is such a perfect way to display the countless leaves your kids find and have to keep “forever.” Simply press them and display! Via Martha Stewart. Here’s a fun alternative when you’re sick of painting on paper. Paint leaves! The shapes provide countless ideas to spark your imagination. Via My Owl Barn. 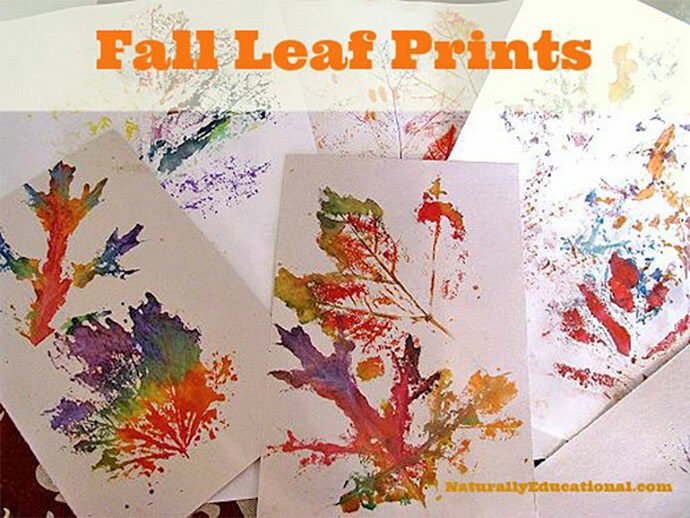 Leaf prints are a classic art activity. 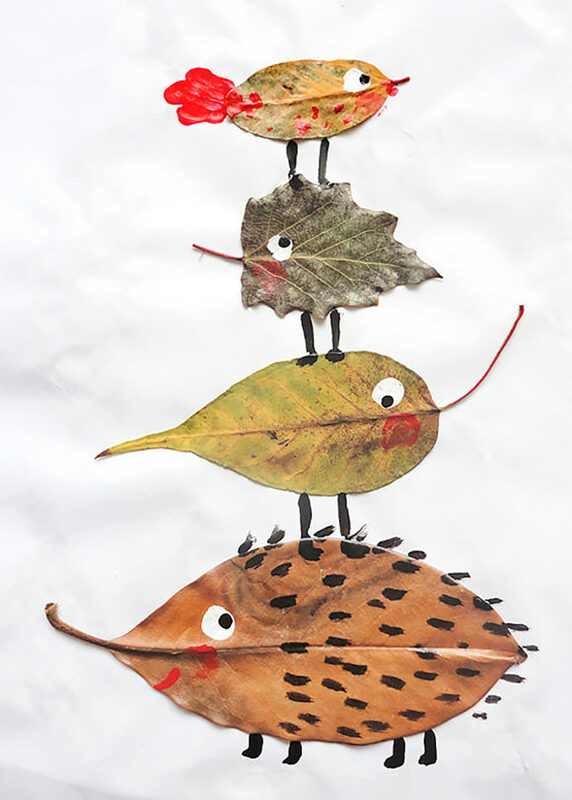 I love the bright colors combined with the familiar shapes of fall leaves. 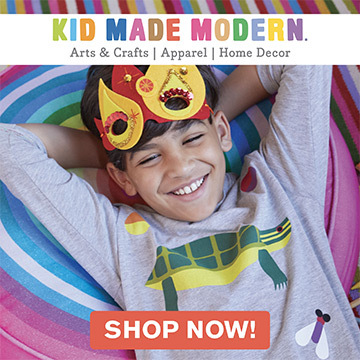 This craft is so great for kids. Via Naturally Educational. Love these ideas! There’s something great about using natures ingredients in your crafts isn’t there? 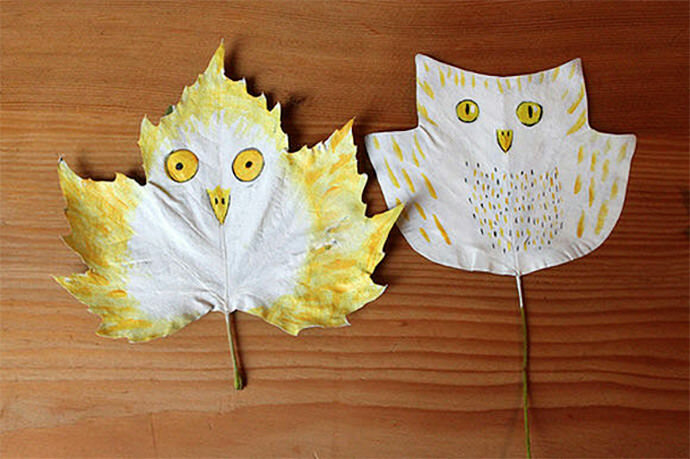 The DIY owl leaves are by one of my best internet friends Hazel Terry from the art room plant (owl barn link). 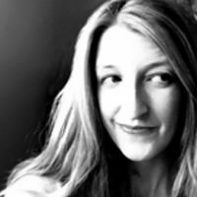 Her blog is a treasure trove! We are super huge fans! I hope you have a great day!